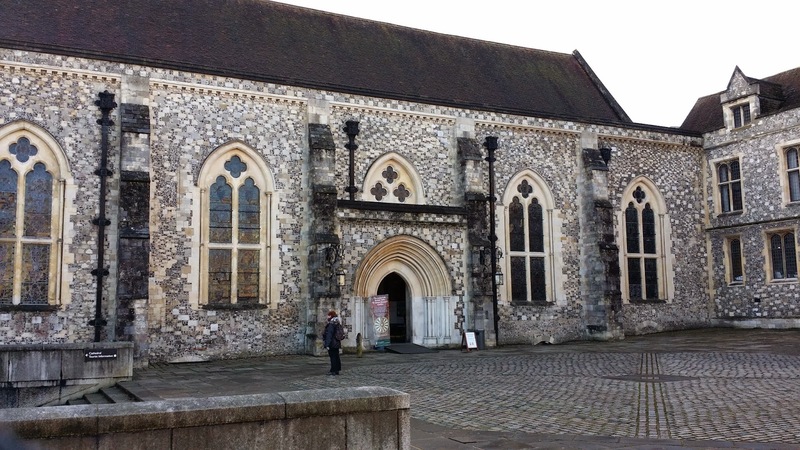 The building pictured below is “the Great Hall” in Winchester, which is all that remains today of Winchester Castle. The castle was originally built in 1067 for William the Conqueror, and it was improved over the years with the Great Hall that stands today being built in the early 1200's to replace the castle’s previous hall. The castle’s downfall occurred during the English Civil War in 1646, when Parliamentarians captured the castle from Royalist forces. Following this victory Oliver Cromwell had the castle demolished. The Great Hall was given a stay of execution and the building was preserved as a venue for assemblies and the County Assizes. Over its lifetime the Great Hall has been the venue of some important events. In 1603 Sir Walter Raleigh stood trial at the Great Hall for his suspected part in the plot to remove King James I from the throne. In 1685 Judge Jeffreys condemned supporters of the Duke of Monmouth to death as part of the Bloody Assizes. And more recently in 1954 Lord Montagu of Beaulieu, Major Michael Augustus Lane-Fox Pitt-Rivers and Peter Wildeblood were tried and convicted in the Great Hall on charges of “conspiracy to incite certain male persons to commit serious offences with male persons” , or buggery for short! The most striking feature of the Great Hall is the Arthurian Round Table which hangs at one end of the hall. The table is believed to have been constructed around 1250 to 1290, during the reign of Edward I. The current paintwork on the table was commissioned by Henry VIII for the visit of the Holy Roman Emperor Charles V in 1522. 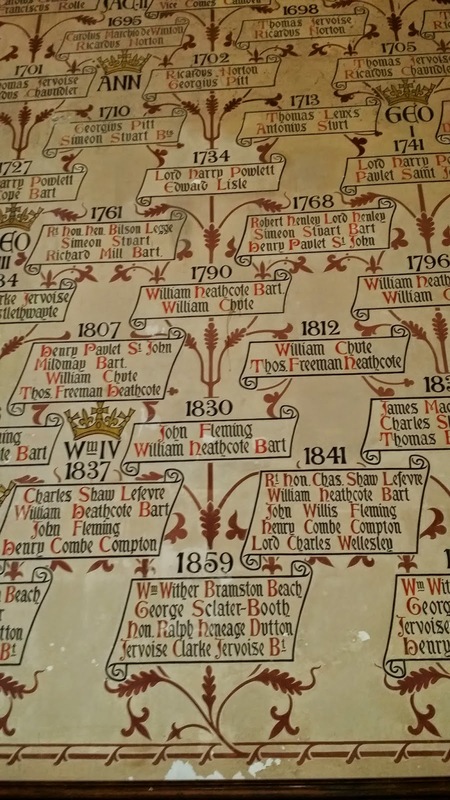 The artwork shows the names of 24 knights of King Arthur’s court and shows Henry VIII sitting in King Arthur's seat at the 12 o’clock position. At 18 feet in diameter, the round table would have been an imposing piece of furniture. Across Europe during the Middle Ages Arthurian legend was popular and jousting festivals, called “Round Tables”, were occasionally held. Sometimes at these events competing knights would assume the identities of characters from Arthurian Legend and presumably also replica round tables were made for these events. Edward I was himself believed to be an Arthurian enthusiast and to have attended a number of Round Tables and to have even hosted one himself in 1299. 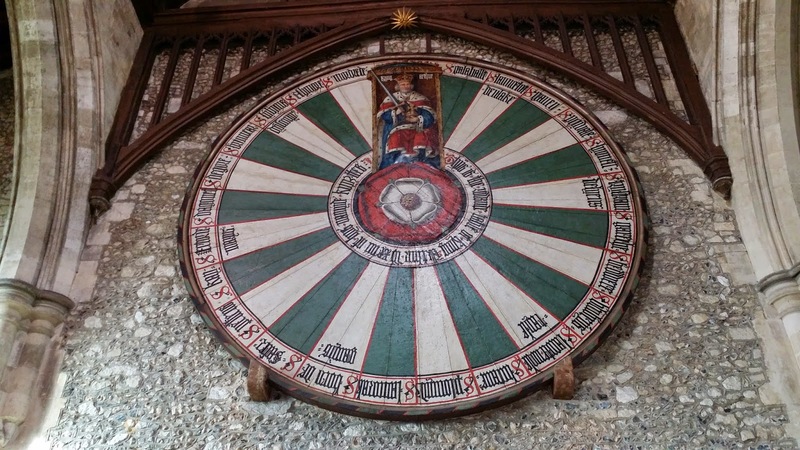 So it is possible that the Winchester Round Table was created for this event, however, there is also evidence that it was created for a tournament in 1290 to mark the betrothal of one of his daughters. The Winchester Round Table is clearly not the original table at which Arthur and his court are said to have convened, some theories even suggest that the round table of legend was not a table at all. 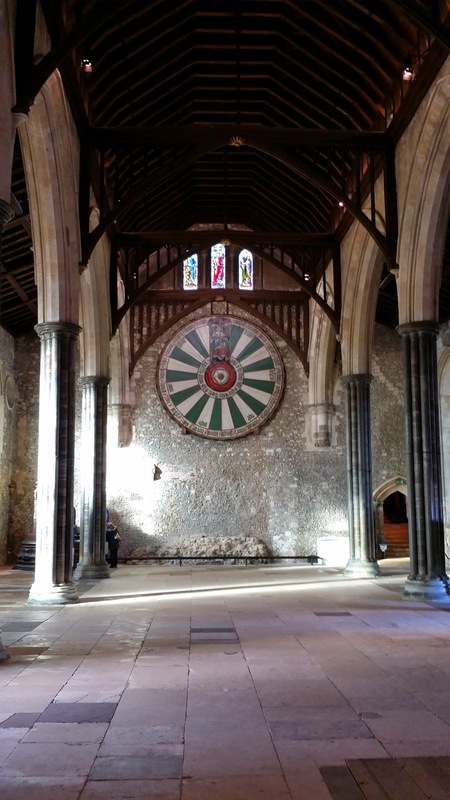 However, the Winchester Round Table is perhaps one of the earliest surviving replicas still in existence. If anyone knows of any other round tables in existence from the Middle Ages that are on display in Europe, let me know via the comments section. 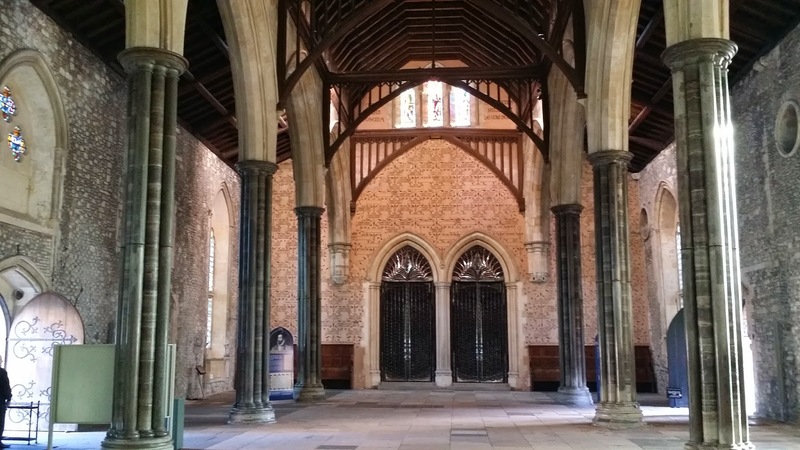 The Great Hall in Winchester. Henry VIII presiding over the table. Looking towards the east wall of the Great Hall, where the table hung from 1348 to 1873. 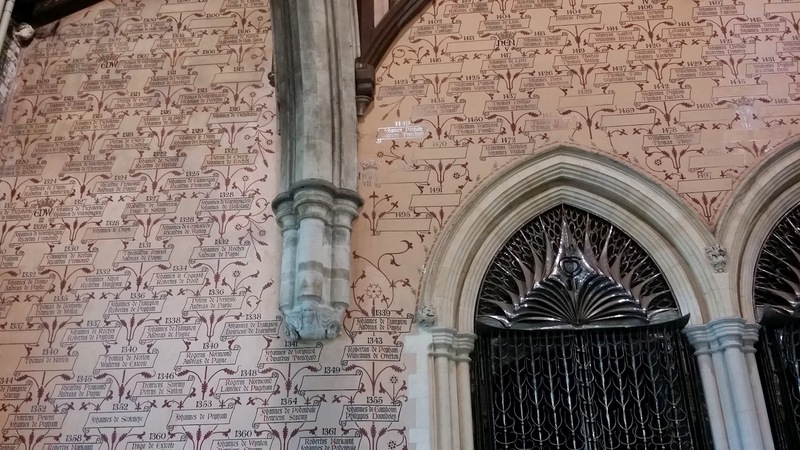 The east wall is decorated with the names of Hampshire's Knights and MPs.